At the same time the FIA was announcing that a new Concorde Agreement had come into force, thereby bringing hundreds of millions into its coffers, Presidential hopeful David Ward was insisting that the current regime is not fit for purpose. 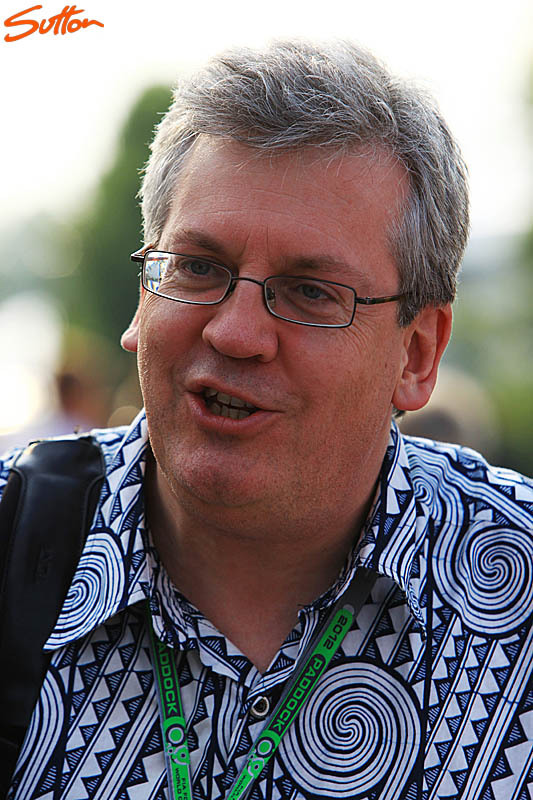 The Englishman, who has served for the last twelve years as the FIA Foundation's Director General, is seeking a complete overhaul of the governance of the FIA, stating that it should be "promoting the effectiveness and accountability of its leadership". Speaking to Pitpass, the Englishman was keen to dismiss suggestions that the forthcoming election is about personalities, power or a desire to be in the spotlight, certainly in his case. As policy adviser to the late Rt Hon John Smith MP, arguably the best Prime Minister Britain never had, Ward laughs, suggesting that in the old days meeting world leaders including Nelson Mandela and Mikhail Gorbachev were "all part of the job". Furthermore, he dismisses claims that he has 'issues with Todt', pointing out that in addition to backing the Frenchman's campaign in 2009 he also wrote his manifesto. However, at this time he feels the FIA has totally lost his way, describing it as "amateur, antiquated and archaic", and with a need to "strengthen its provisions" in terms of bribery and corruption. Rather than seeking a role in the spotlight, the 58-yeal-old admits that he is looking to work behind the scenes, focussing on governance reform, and, if elected, would appoint a special commissioner to run F1 on a daily basis. Though he is seen as being close to former president Max Mosley, who he admits is a "good friend", Ward is very much his own man, and is adamant that there has been "little or no" communication with Mosley who is now totally focussed on his quest in terms of the European privacy laws. "I am doing this entirely for my own reasons," he says. Mention of Mosley however, sees Ward reveal that he was the architect behind the FIA's Disciplinary Tribunal, the mechanism which takes the 'personality issue' out of certain cases that come before the sport's governing body, "Spy-gate and Crash-gate" being the first that come to mind. Admitting that the politics cannot be removed, Ward, who stood as a prospective Labour MP in Chelsea in 1987, a move which still causes a wry laugh from the Englishman, insists that the governing body be "transparent in its actions and trustworthy". Insisting that the "governance changes are urgently needed" and that his prime reason for running is "governance reform", he also dismisses claims that he is running as a sort of Trojan horse, having agreed a 'secret deal' with Mohammed Ben Sulayem, President of the Automobile and Touring Club of the UAE and an FIA Vice President for sport. Rather than running on a joint ticket, even secretly, with Sulayem, who was recently appointed head of the FIA’s Motor Sport Development Task Force, which has been charged with looking at the future of the sport, Ward says that not only should Sulayem stand but that there should be more candidates, citing the International Olympic Committee which had six candidates. Under the current system, which he is keen to get rid of, the FIA's process only allows three candidates can be nominated. Indeed, Ward wants rid of the nominating system and a complete change to the election process. "It's the system that is unfair," he says. In a subsequent interview with BBC Sport, Ward admitted unease with the way in which the Bahrain Grand Prix was handled, revealing that if elected he would call for an investigation to see whether the country should host a round of the World Championship. A question mark has hung over the race for the last couple of years, and in the eyes of many represents one of the true low points of Todt's reign. In 2011, at the height of the 'civil unrest' which threatened the event, Todt sent Carlos Gracia, head of the Spanish motorsport federation and FIA vice-president, on a fact-finding mission to the Gulf state, his subsequent report, which was widely ridiculed, gave the race the all-clear. However, after months of procrastination on all sides it was the Bahraini organisers themselves who pulled the plug. The race went ahead in 2012, a move that Ward claims was wrong. "If it looks like the situation is deteriorating or not improving, what there should be - because this could happen tomorrow in another part of the world - is a standard process to handle this, that is immune from suggestions that one place is being treated differently from another," he said. "The important thing is to be neutral. What is merited is an investigatory visit. Look at things on the ground, talk to all sides as far as is possible and make a judgement based on that." Referring to 2011 he said Todt was guilty of "poor decision-making". "Bahrain had all the hallmarks of decision-making on the hoof right up to 24 hours before the race," he added. New Concorde Agreement is "operative"